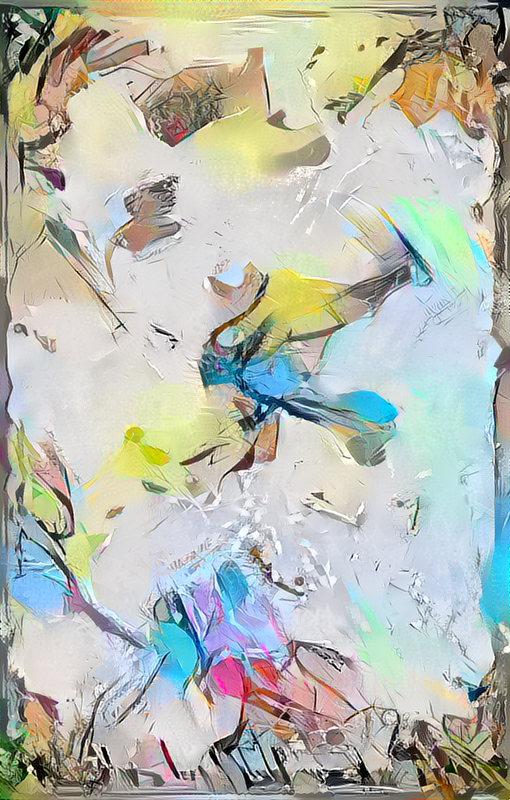 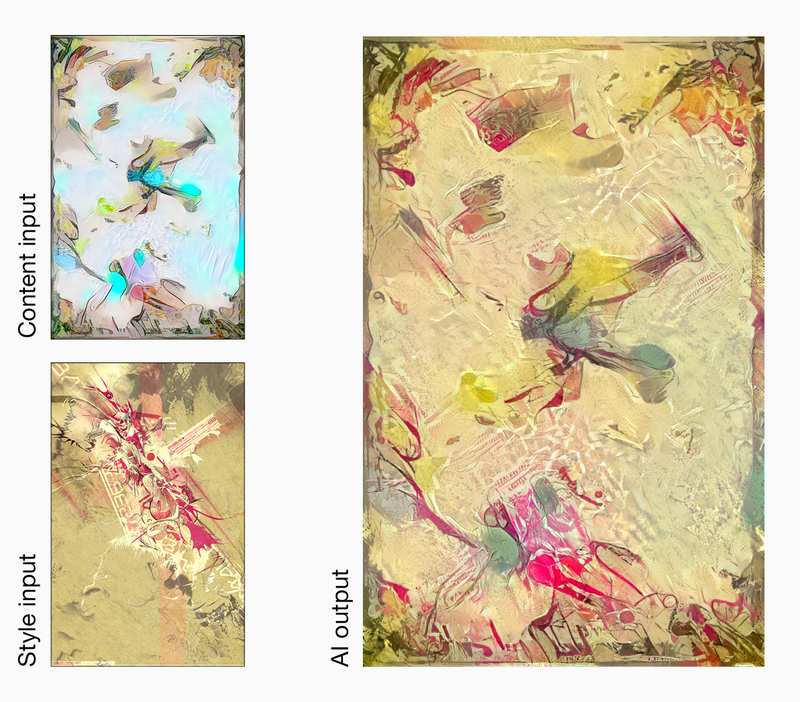 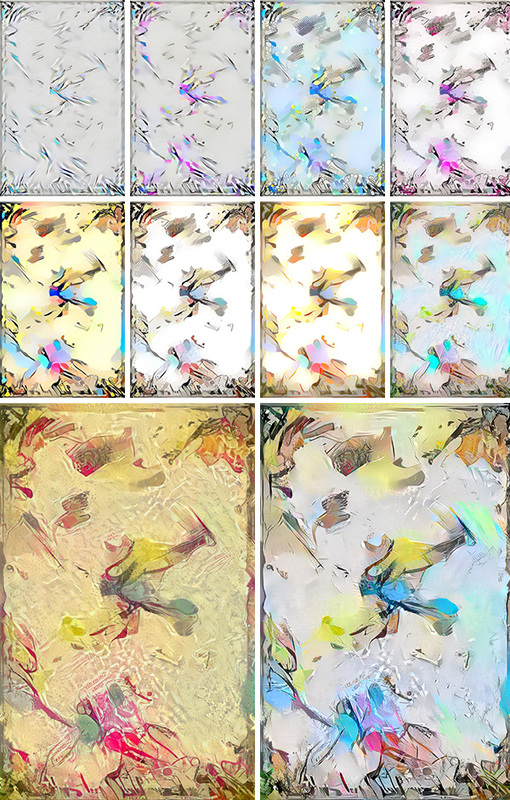 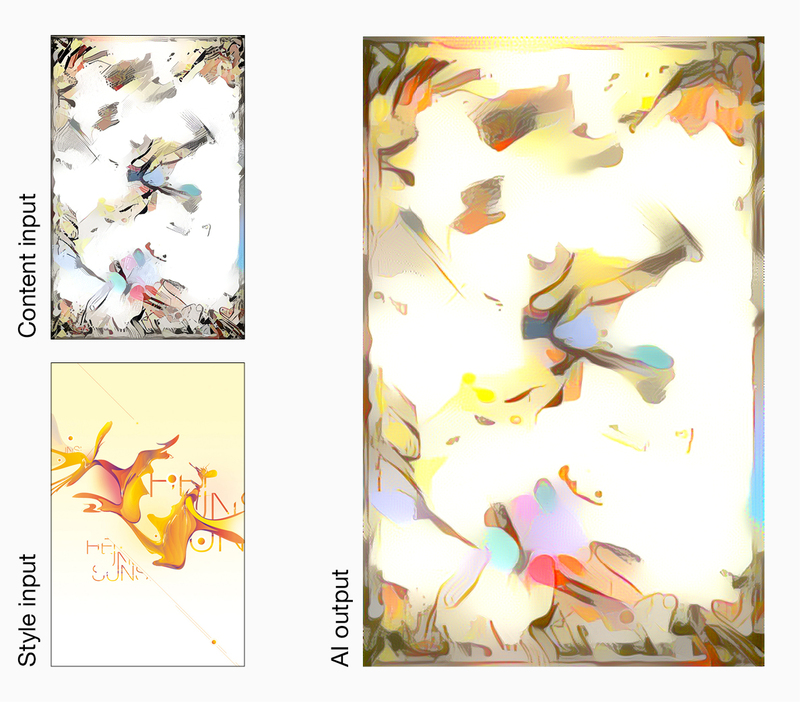 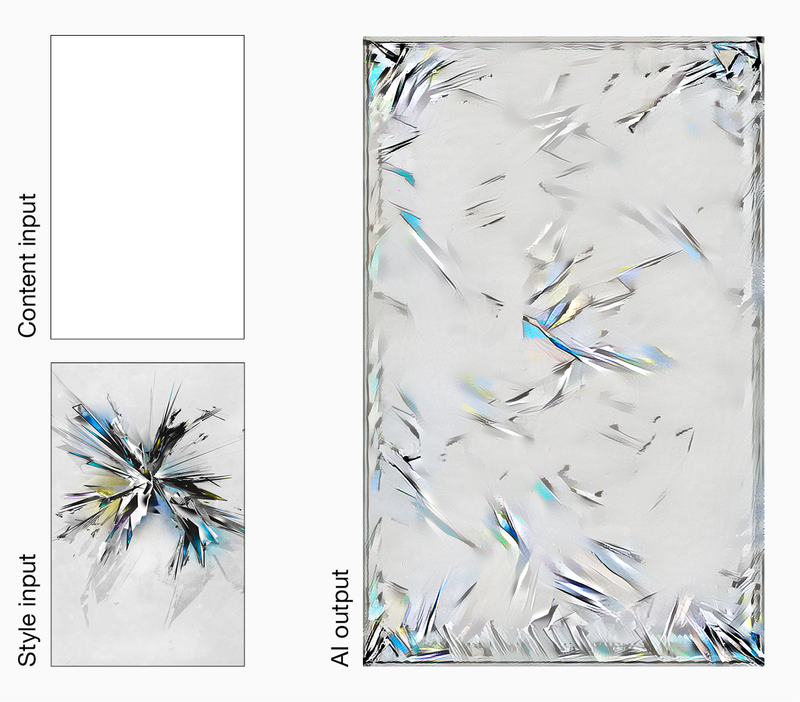 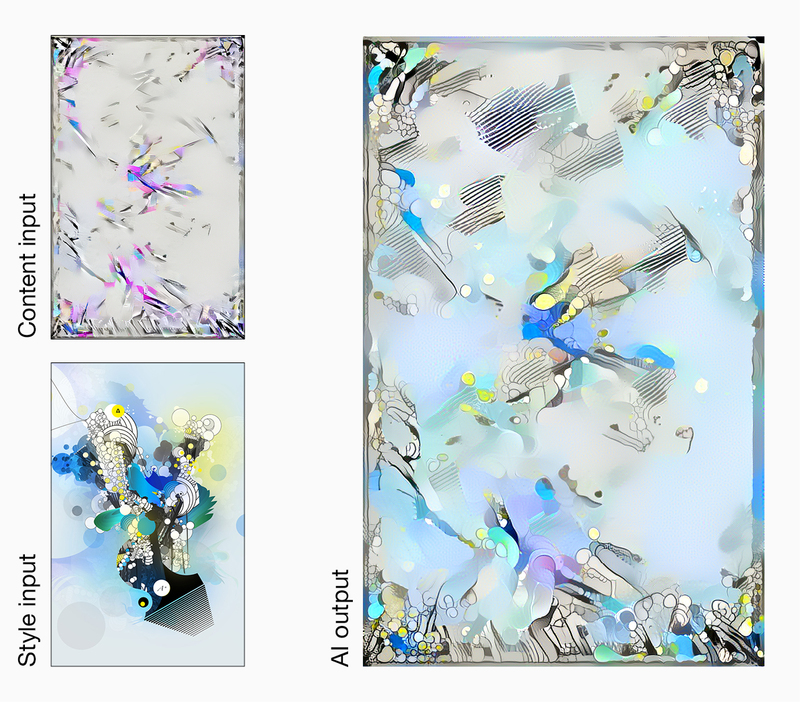 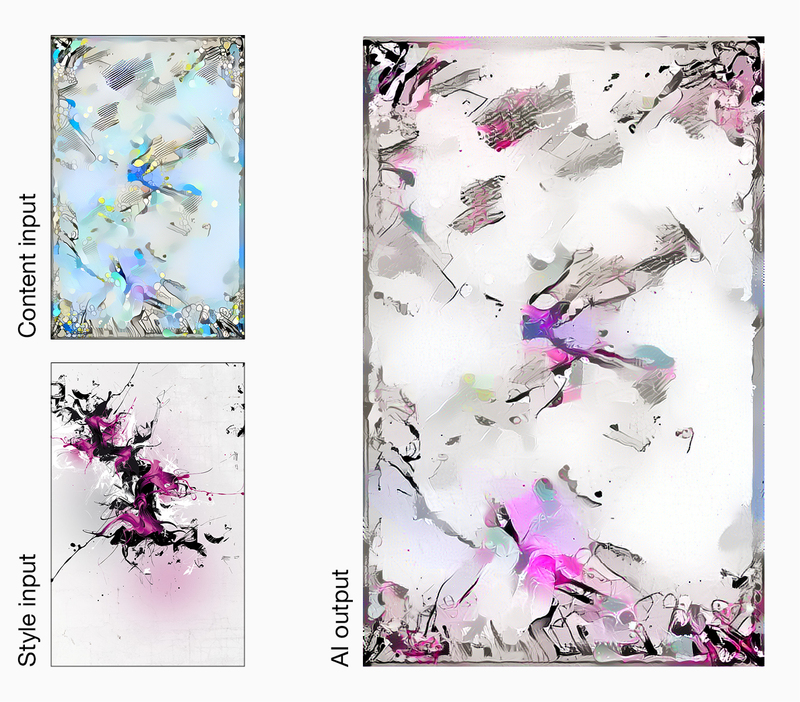 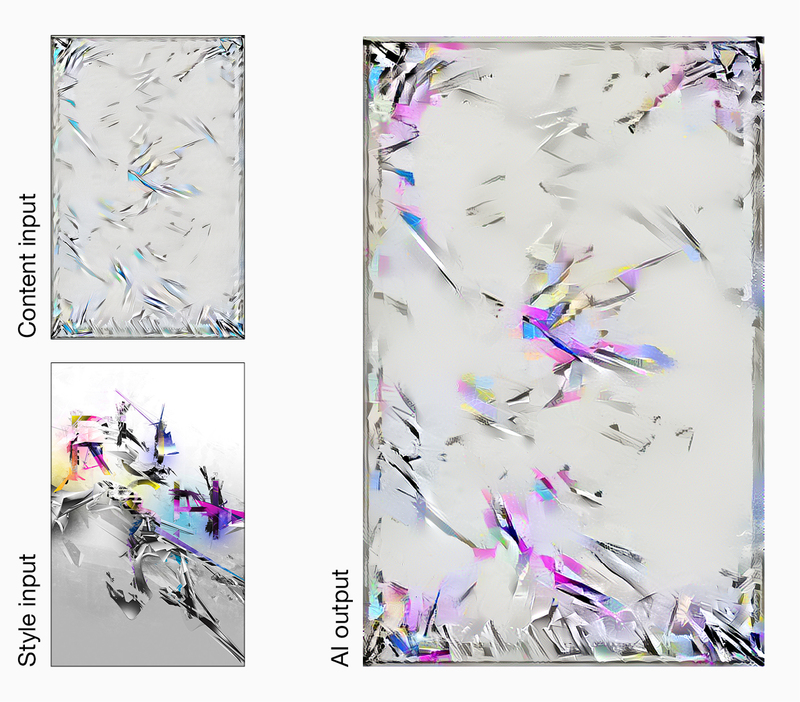 An attemp on generating "the essential" artwork using AI. 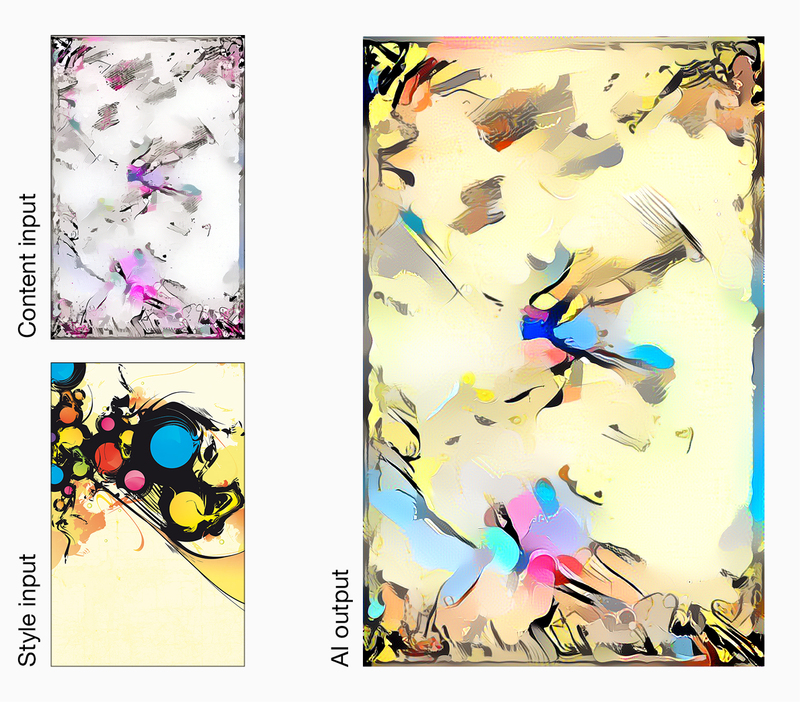 Beeing impressed by the results of my AI-generated typography illustrations, I decided to use neural style transfer once again. 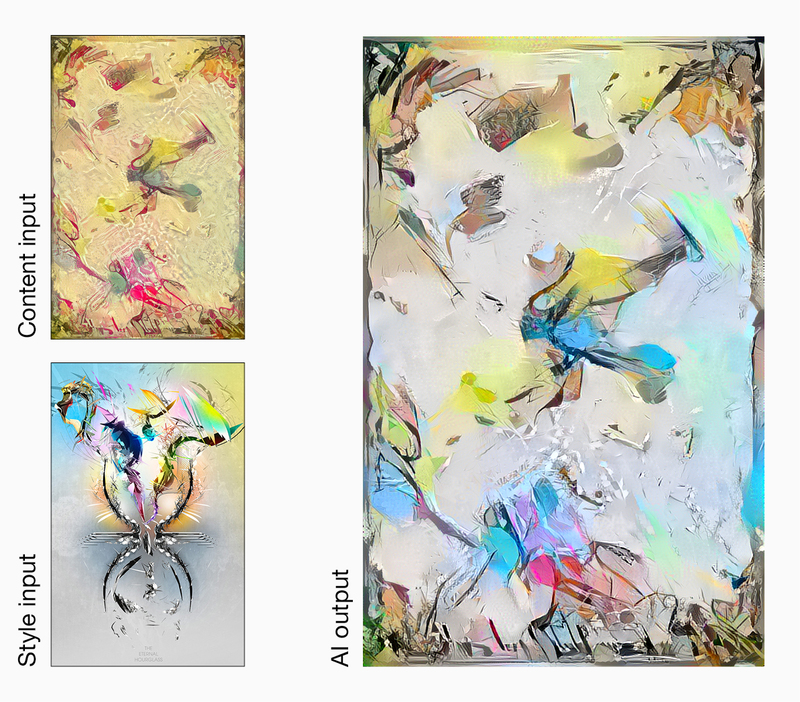 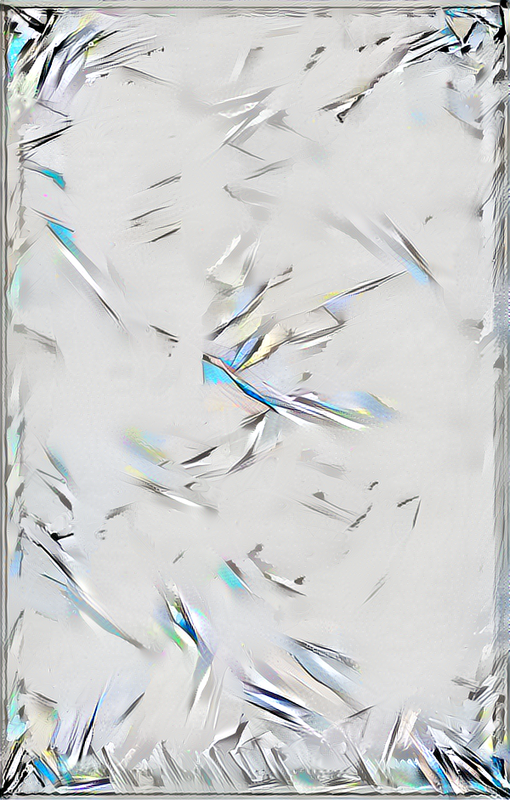 I wondered what would happen if you start with an empty canvas and ask the AI to transfer the art styles of 10 artworks onto each other. 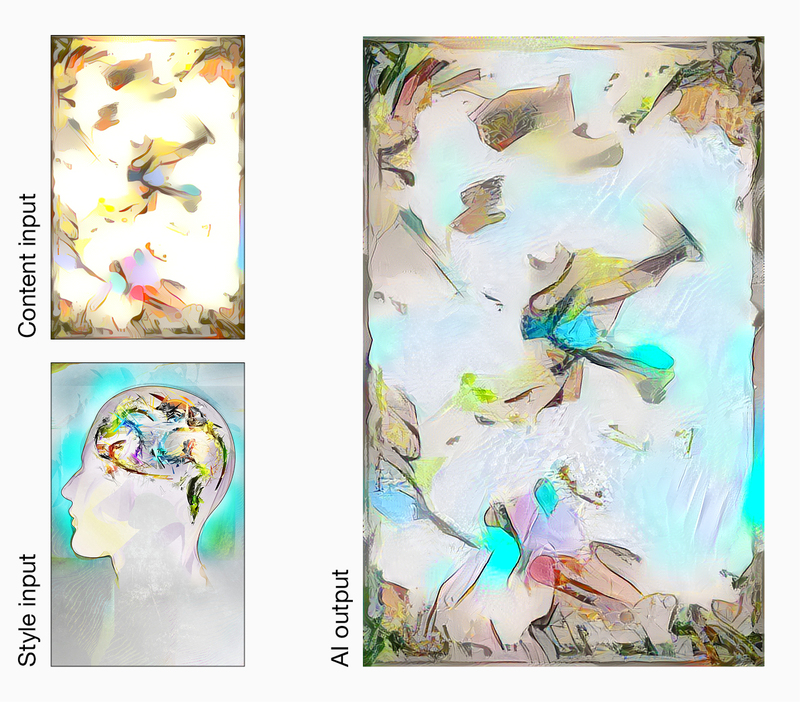 In theory, this would generate something like an artist's "essential artwork", using some main elements from each input piece. 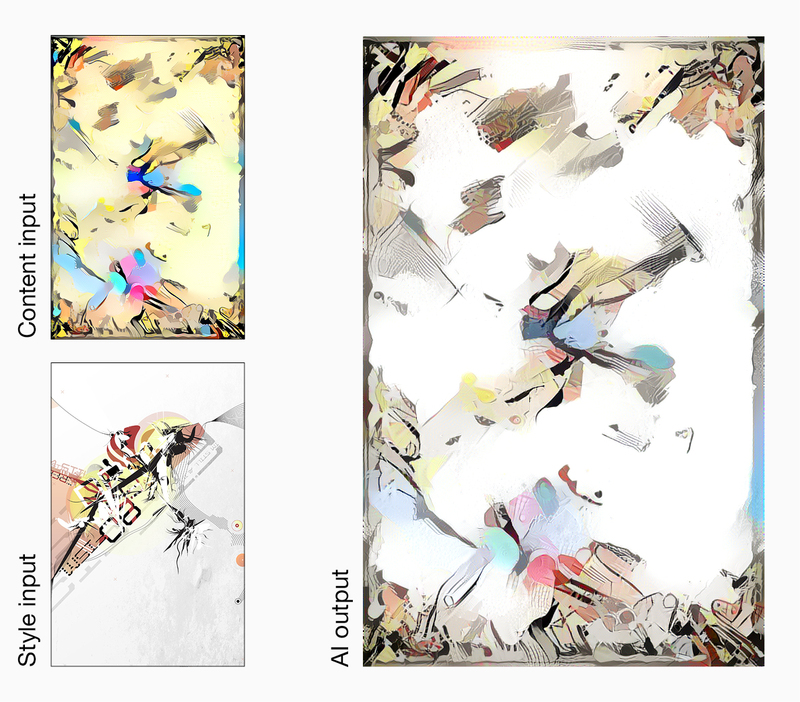 This project is a totally experimental work, trying to give the AI as much creative freedom as possible.